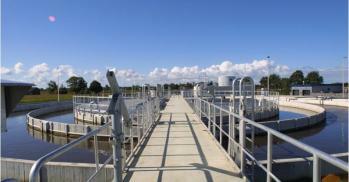 The Vallei and Eem Water Board [Waterschap Vallei en Eem] put the expansion of the Nijkerk sewage water treatment plant out to tender, whereby the automation of both the electrical and control technology was awarded to Moekotte. This was a major challenge that required much use of digital technology. The three key words in this extensive project were visualisation, control and data processing. The Water Board wished to work with a specific type of PLC and SCADA and imposed requirements relating to the frequency control. With these requirements in mind, Moekotte developed a new control system concept for the water purification process. The solution presented by Moekotte shows a wealth of experience in similar projects. 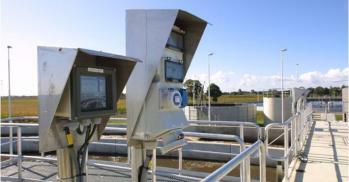 A number of PLCs now control the water treatment plant and a SCADA PC serves to visualise the process. A fibre optic ethernet network provides the communication between the PLCs, the SCADA PC and the frequency converters. The complete treatment process can be viewed and controlled from the PC. Mobility has also been taken into consideration however: a laptop can be used to monitor and control the treatment process from any location. Furthermore, the service engineer receives reports of any malfunctions immediately via a modem and, depending on the urgency of the malfunctions, the report may also be forwarded to the service department.